Terror-related arrests in England, Wales and Scotland last year were at the highest level since 9/11, with teenagers, women and entire families among those held in custody, Scotland Yard has said. In the year to the end of March, UK police arrested 338 people on suspicion of terror offences. More than half of those arrests were related to Syria, Met Police Assistant Commissioner Mark Rowley said. Police said more than 700 Britons are now thought to have traveled to Syria to join militant groups including the Islamic State. Around half of those terror suspects are believed to have since returned to the UK. “They are not aid workers or visiting relatives — they are people of real concern that they are getting involved in fighting or are supportive of it. They are potential terrorist suspects,” Rowley said. The total number of terror-related arrests was up from 254 in 2013/14 – an increase of around a third. Suspects were arrested for offences ranging from fundraising for extremist causes to plotting terrorist attacks. Of all arrests last year, 56 suspects were under the age of 20. There are also increasing numbers of women among those detained – around 11 percent of all arrested were female. 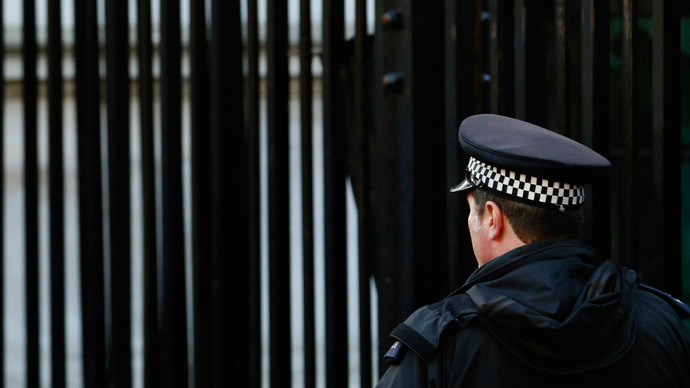 More than 100 people are currently awaiting trial for terror-related charges in Britain. Police are trying to tackle a range of potential plots, from amateur setups to sophisticated long-term planned attacks. The fact that 20 percent of all terror suspects were teenagers raises concerns that young men initially drawn into gang crime are instead choosing a fundamentalist and extremist path. As the rise in social media and use of technology by terror groups and extremists both in Britain and abroad creates loopholes for security forces to track down networks, the UK government resurrected the so-called ‘Snoopers’ Charter,’ which will increase their capacity to collect and view communications data. Other European nations, including France, Germany and the Netherlands, also see rising numbers of their citizens traveling to Syria and Iraq to join terror groups. In order to co-ordinate the increasing threat posed by returning jihadists, UK counter-terrorism officers are organizing a conference of European police chiefs next month.